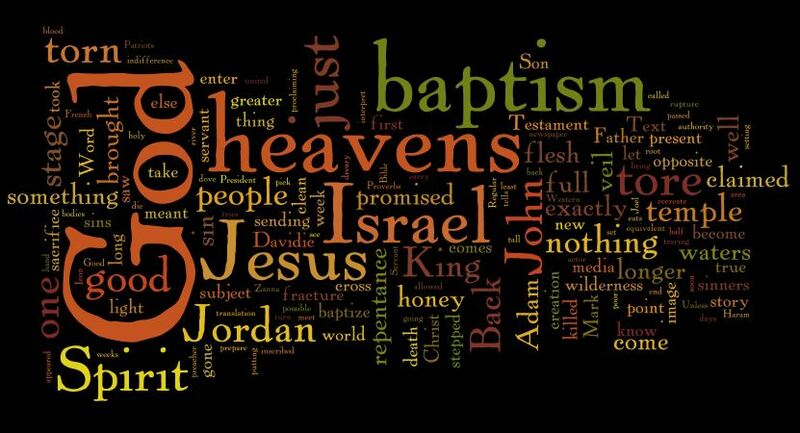 The text and the church occasion is the baptism of Jesus. This sermon uses as a theme what Mark says happened at the beginning and at the end of his gospel – Heaven Torn Open. First at the baptism when Jesus becomes willingly the new Adam, taking our baptism. Then at the cross, when the veil to the holy place is torn open. Jesus counts himself with us sinners, so that we might be counted in the holy place. He doesn’t abandon or crush his creation, he redeems it. I wish I had caught a good recording of the hymn post the sermon. It is LSB 404 – Jesus Once with Sinners Numbered. It is a great hymn and spot on. Here is a link to someone with a great voice singing it.